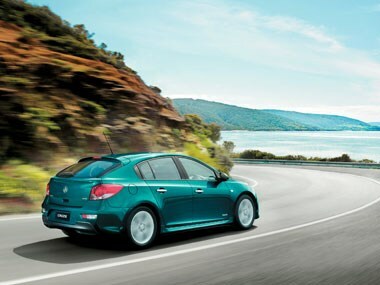 The new Adelaide-built Cruze hatch is best enjoyed in the back seat. With a tape measure. And I'm not being dirty. Holden designers keenly highlight that opting for a Cruze hatch over its twin-under-the-skin sedan stablemate doesn't compromise rear passenger accommodation. It's just as roomy in all dimensions bar headroom, which is improved by 12mm, and the door aperture design makes it easier to get in and out of. And despite being 80mm shorter than the sedan, the hatch offers oodles (413 litres) of luggage space, with a flat floor, vault-style storage and 60/40 split-fold seat access. Packaging. Practicality. Roominess. That's how the hatch is buttered. Actual styling is secondary. 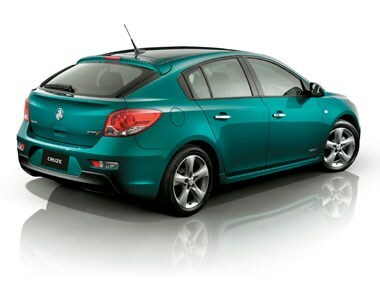 And which is why Cruze Hatch looks a bit plain, Korean or slightly awkward, depending on what angle you view its shape. Everything from the B-pillar forward, plus the rear doorskins, are Series II Cruze sedan. It's cohesive, if forgettable. Instead, it (wisely) favours traits the Uncle Lens and Niece Shazzas hold dear, to give it some fight in the super-competitive small car segment against giants such as Mazda 3 and Volkswagen Golf. Value- and equipment-laden for the bucks? Sure. It kicks off at $21,240 for the CD 1.8 petrol manual. Decent ride comfort? Absolutely. Strong build solidity and good noise isolation that many of the great unwashed pass off as a sense of 'reliability'? In droves. That its steering is artificial, roadholding is neglible, or the manual's clutch feel is vague and flaccid will no doubt go unnoticed to the many Cruze buyers who either don't know any better, or frankly care. But the lack of anything like decent shove in the petrol variants - including the 'sporty' 103kW/200Nm 1.4-litre turbo - will be apparent to even the Mr and Mrs Magoos of the world. The 120kW/320Nm 2.0-litre turbodiesel is the only donk of the range that bring any sense of urgency to on-road progress, but it's laggy and chatters more than Oprah. 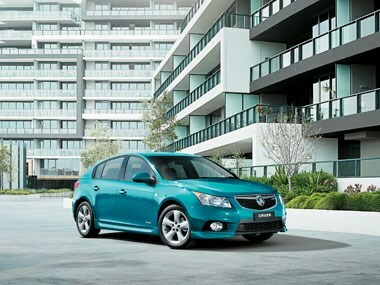 The diesel is "the most fuel efficient car made in Australia," as Uncle Len will regale at the next family get-together. And there are two tidbits in that quote that should swoon the Aussie masses. That's despite the fact most Cruze buyers can't tell an 'Australian' version from a fully imported (older) example - a fact that Holden is open about. 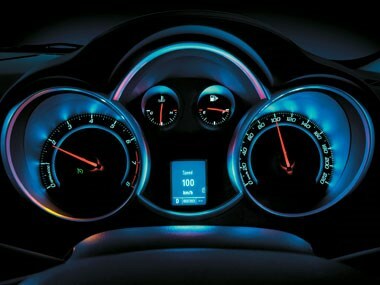 Or that The Local Cruze is assembled using mostly imported components - something GM-H is a little less open about. But they'll sell a shedload.